Kolkata, Feb 4 Hours after the CBI approached the Supreme Court seeking direction to Kolkata Police commissioner Rajeev Kumar to join the Saradha scam probe, the top cop too has moved the Calcutta High Court against the investigating agency. The legal drama is playing out parallel to a political one, wherein Chief Minister Mamata Banerjee is sitting on a dharna against the Narendra Modi-led central government. Meanwhile, Bengal Governor Keshari Nath Tripathi has sent a confidential report on Sunday’s showdown between policemen and CBI officers, who had come to question Rajeev Kumar. Meanwhile, in Parliament, Union Law Minister Ravi Shankar Prasad questions how can a Police Commissioner sit on a dharna with politicians? “What is the meaning of this? By sitting on dharna, the West Bengal CM is following the footsteps of Arvind Kejriwal,” says Prasad. Ravi Shankar Prasad reminds that in 2014, Congress tweeted Rahul Gandhi’s statement that 20 lakh people lost their money in chit fund scam in West Bengal. “We took oath on May 26, 2014 so all these inquiries in Narada, Saradha scams started before us,” claims Prasad on allegations of using CBI as a political tool. According to Mamata Banerjee, The satyagraha is not against any agency, it is against the Modi-led government’s atrocities. 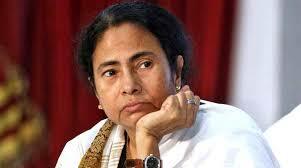 Sources close to Mamata have said that she knew the BJP would try and arrest Rajeev Kumar. The CM had charted out a timed plan on the offensive to strengthen her anti-Modi block and highlight her state initiatives before elections.